The Mississippi River has shaped the Twin Cities of Minneapolis and St. Paul, both geographically and culturally. Settled first, St. Paul became the head of navigation on the Mississippi because it offered a broad river flat ideal for tying up steamboats. Upstream, Minneapolis grew around St. Anthony Falls, which powered more than 50 flour and lumber mills by the turn of the 20th century. Accordingly, St. Paul began as a major shipping point, while Minneapolis became an innovative industrial center. Though both cities have diversified exponentially, they retain vestiges of these original personalities. We Minneapolitans like to think our city is edgy, while St. Paulites pride themselves on their city’s quiet residential character. Differences also can be seen in the cities’ architecture. The Arts & Crafts movement took root in Minneapolis under the auspices of the Minneapolis Handicraft Guild. There is nothing avant garde about the Guild’s 1907 building, designed by William Channing Whitney and sitting at the corner of 10th and Marquette, but the Guild itself was radical—it was run by women, and existed primarily to educate the city’s nearly all-female teacher corps. The Prairie School, another expression of the Arts & Crafts movement, is also better represented in Minneapolis than St. Paul. In 1907, after working briefly for Louis Sullivan in Chicago, William Purcell moved to Minneapolis and opened his architecture office. Sullivan’s chief draftsman, George Elmslie, joined Purcell in 1909. The pair became the most prolific Prairie School architects during the 1910s, eventually completing more than 300 projects coast to coast. The most striking of their Minneapolis commissions is the 1912 Purcell-Cutts House designed for Purcell’s family at 2328 Lake Place. Its modernity and pervasive spirituality are evident the minute you walk in. The home’s last private owner willed it to the Minneapolis Institute of Arts, which opens it for tours one Saturday each month. 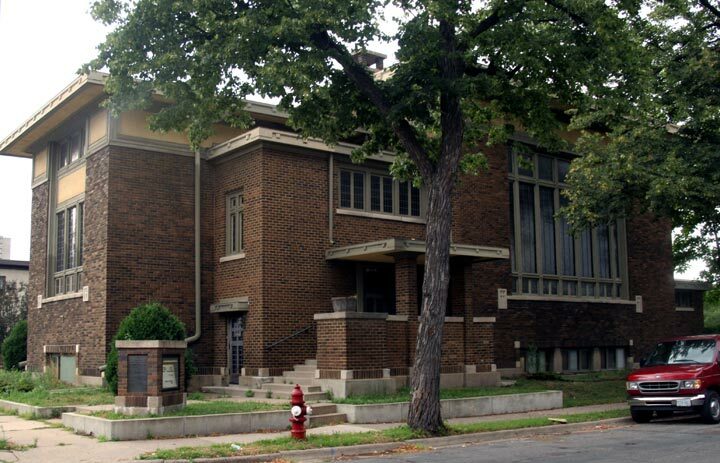 Other P&E buildings worth driving by are the 1907 Gray House at 2409 E. Lake of the Isles Blvd., the 1910 Stewart Memorial Church (now Redeemer Missionary Baptist Church) at 116 E. 32nd Street, the 1915 Backus House at 212 W. 36th Street (the smallest Prairie School house anywhere), and the Wiethoff House at 4609 Humboldt Ave. S.
While viewing Purcell & Elmslie’s architecture, you also can enjoy the Grand Rounds, the parkway system envisioned in the 1880s by Horace Cleveland to link Minneapolis’s beautiful Chain of Lakes and carried out under Theodore Wirth, the city’s longest-serving park superintendent. Wirth’s leadership in the American park and recreation movement changed these spaces from formal and untouchable to vibrant parks where walking on the grass is encouraged. 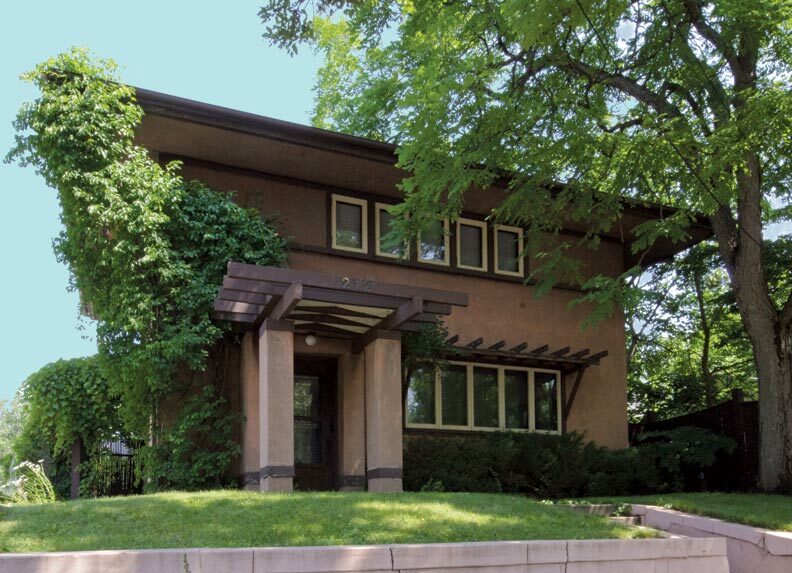 Minneapolis has two Frank Lloyd Wright houses. 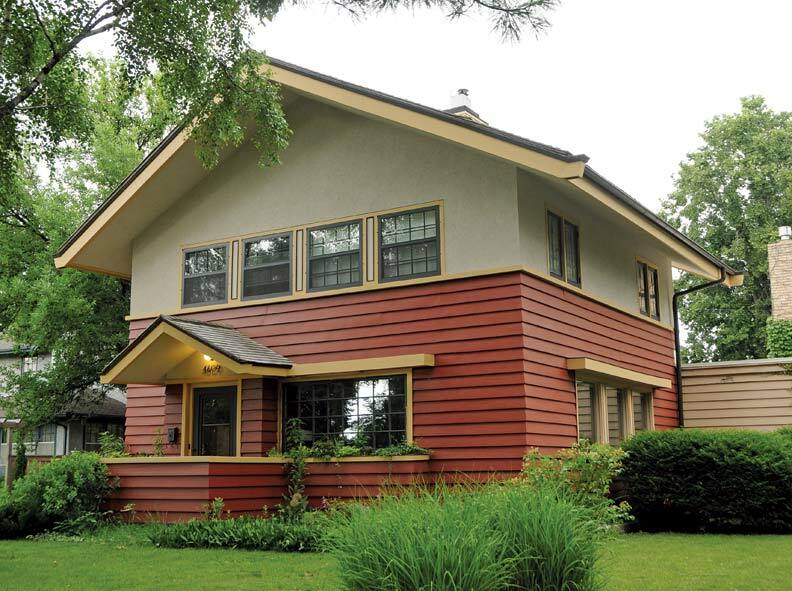 The modestly sized 1934 house designed for Nancy Willey and her husband, Malcolm, a University of Minnesota professor, is thought to be the first rambler: a compact, open-plan, single-level home (255 Bedford Street SE). After coming perilously close to demolition, the house recently was magnificently restored. (The restoration was featured in OHJ in 2008.) It is privately owned but available for tours by appointment. The other Wright house in Minneapolis, the 1951 Neils House at 2801 Burnham Blvd., is privately owned and closed to tours. The city’s edginess is capped by Frank Gehry’s 1993 Weisman Art Museum (333 River Parkway) on the University of Minnesota campus. Nicknamed the Baby Bilbao, it’s a delightfully disarrayed assemblage of curving stainless steel scallops that glow in the setting sun. The WAM’s collection of modern art is noteworthy, but before going in, glance down the University’s Mall, a City Beautiful exercise by St. Paul native Cass Gilbert. St. Paul’s greatest claim to architectural fame is Summit Avenue, heralded as one of the nation’s best-preserved promenade streets. 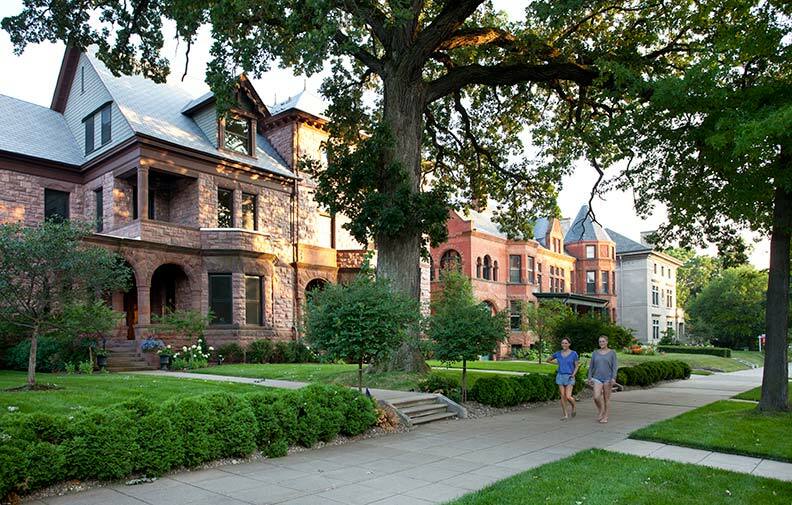 Still the city’s most prestigious address, Summit is lined with gorgeous 19th- and 20th-century homes. Standing in tiny Summit Lookout Park, it’s easy to see why it’s such a coveted spot—the street runs along the top of a bluff with long views of downtown and the Mississippi gorge. The avenue is anchored by a great house and a great church. 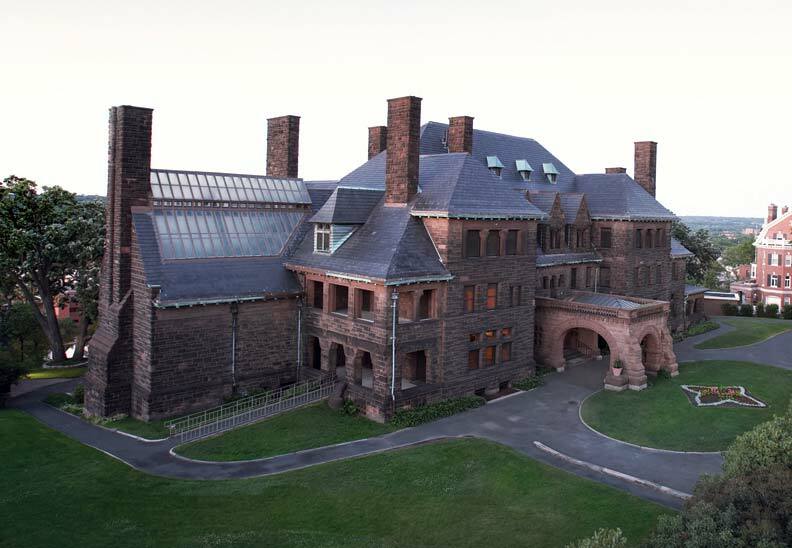 The James J. Hill House, at 36,000 square feet, is Minnesota’s largest residence. Hill’s nickname, “The Empire Builder,” was also given to the trains that ran on his Great Northern Railway, completed in 1893 between St. Paul and Seattle. His opulent house at 240 Summit (1891, Peabody and Stearns) is a somber Richardsonian Romanesque pile of dark red sandstone. It is owned by the Minnesota Historical Society, and open for tours. From the Hill House’s front yard, you can’t miss the soaring 1915 St. Paul Cathedral, owned by the Catholic Archdiocese of St. Paul and open for tours by appointment. 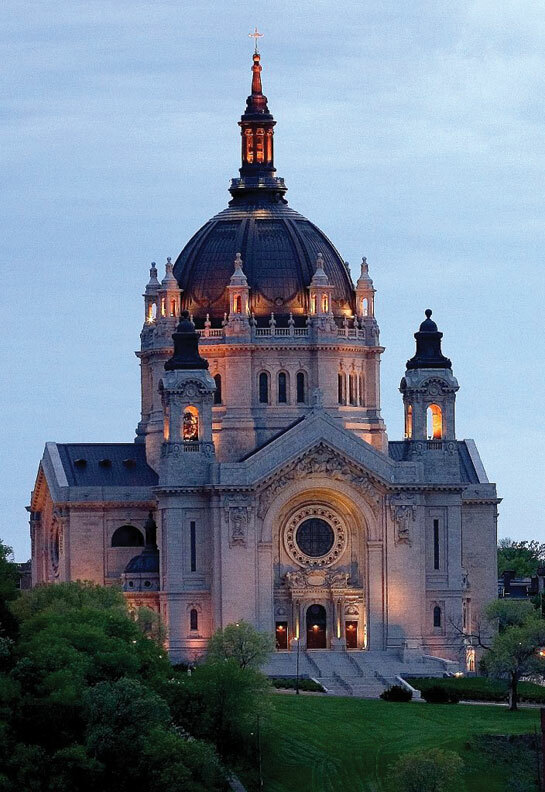 The church is a tour de force of Baroque detail by École de Beaux Arts graduate Emanuel Masqueray, whose other impressive local churches include the Chapel of St. Thomas Aquinas at the University of St. Thomas and Minneapolis’s Basilica of St. Mary. St. Paul’s other great neoclassical monument is visible from the front steps of the cathedral: Cass Gilbert’s 1905 State Capitol building. The gleaming white Capitol brought Gilbert national prominence and led to his triumphant Woolworth Building in New York City. 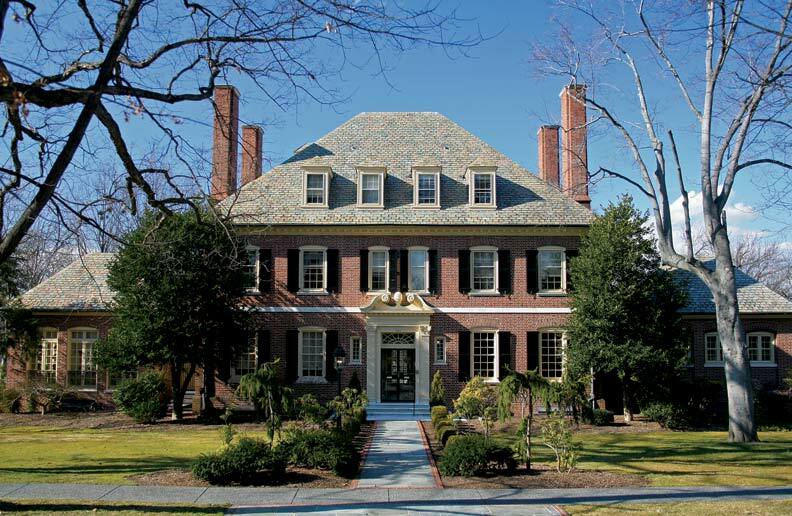 While Gilbert headed off to national fame, his boyhood pal, Clarence Johnston, stayed put to design about 40 houses and other buildings on Summit Avenue. Two of the best are the sumptuous 1908 Tudor Revival Dittenhofer House (807 Summit), whose carved vergeboards alone merit a trip to Summit Avenue, and the suave 1887 Romanesque Laurel Terrace townhouses (286-294 Laurel, just off Summit), designed during Johnston’s brief partnership with William Willcox. Johnston went on to become Minnesota’s most prolific architect. From 1901 to 1931, he was the official state architect and had a hand in more than 2,000 buildings. For a comparison between Gilbert and Johnston, go to the side-by-side houses at 701 and 705 Summit. Gilbert’s Dittenhofer House (for the parents of the previously mentioned Dittenhofers) on the left and Johnston’s Elsinger House on the right were both designed in 1898 for business partners and brothers-in-law who owned a downtown St. Paul department store. The clients appear to have been playing the two architects against each other. 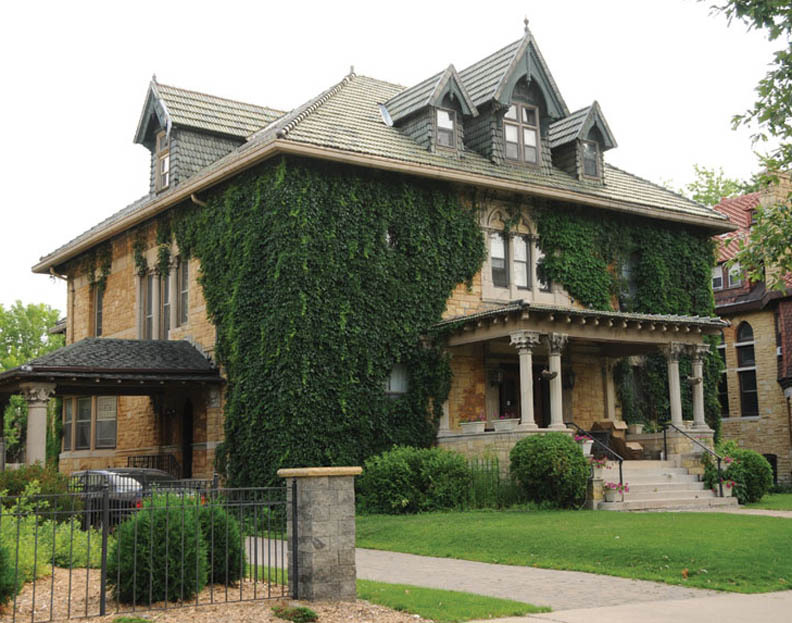 Both houses are built of Kasota, Minnesota’s premier building stone, but Gilbert’s design is classical and bilaterally symmetrical, while Johnston’s is more in the Queen Anne mode, with an off-center tower and Tudor arches. From here, take a slow westward journey up Summit. When you get to the end of the four-mile street, you’ll be at the Mississippi River, where you can sit on a park bench and peer down into the river’s gorge—one of the natural joys of the Twin Cities. Richard L. Kronickis a freelance writer and architectural historian who leads architecture tours in the Twin Cities and around the world, including one of Venice in April 2013 for the National Trust for Historic Preservation. 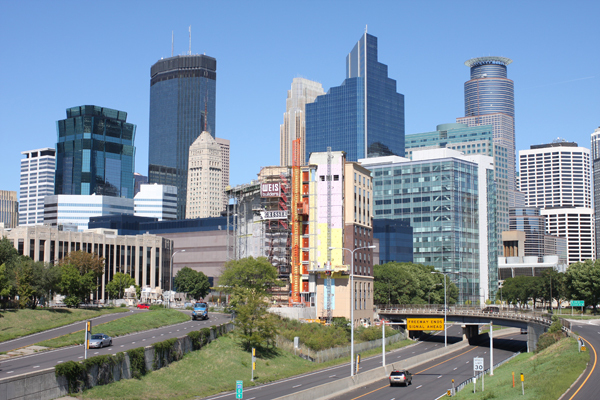 Minnesota’s Twin Cities are a historic travel destination.